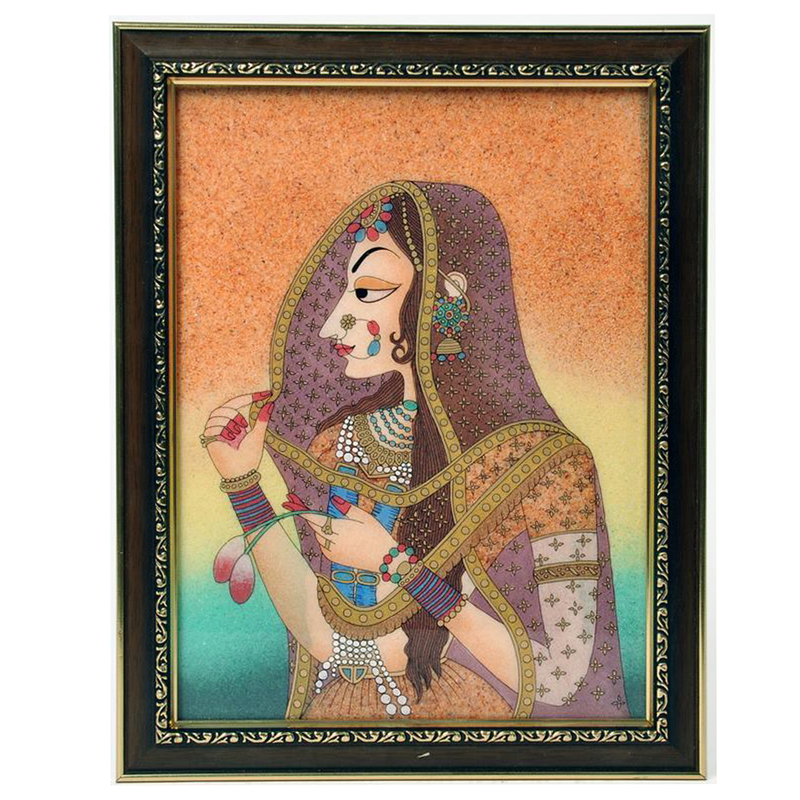 This wooden painting illustrates a bani thani mood of a traditional women belonging to royal family. The image has made use of sensitive colors that Read More..has given it a picturesque look. The painting is framed with black border making the image look attarctive. Add the touch of heritage to your place or expose your crave for tradition and culture while presenting it to someone else. Show Less..